Welcome to the Picture Guide to Shelf Invertebrates of the Northern Gulf of Mexico. 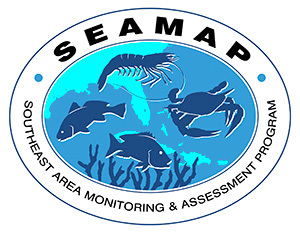 The guide was developed to assist NOAA/NMFS personnel in identification of invertebrates taken during resource trawl surveys in the northern Gulf of Mexico. The plates were designed for identification of fresh specimens at sea and to make use color characteristics as well as other taxonomic aids. Current taxonomic standing has been verified through both the literature and the ITIS website (www.itis.usda.gov). The guide is a work in progress with new species added as they are collected. Most of the specimens were identified by the authors with some problematic taxa sent to various specialists for identification or confirmation of identification. Any mistakes are the responsibility of the authors. A full reference list will be available in the near future. We welcome any comments and ask you to please contact us with any corrections or feedback you may have at harriet.perry@usm.edu, or (228) 872-4218.